A Minnesota police officer who shot dead a black man during a traffic stop has been found not guilty. 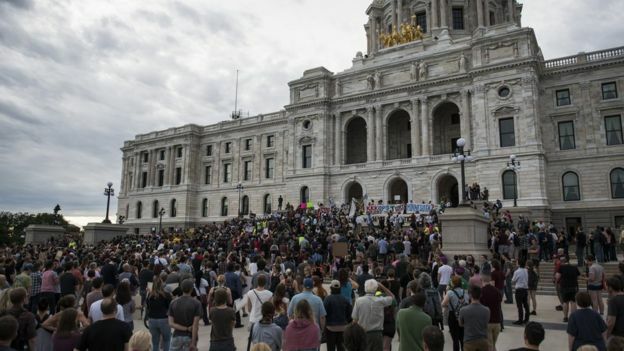 The verdict sparked protests in the city of St Paul, where demonstrators temporarily blocked main roads. 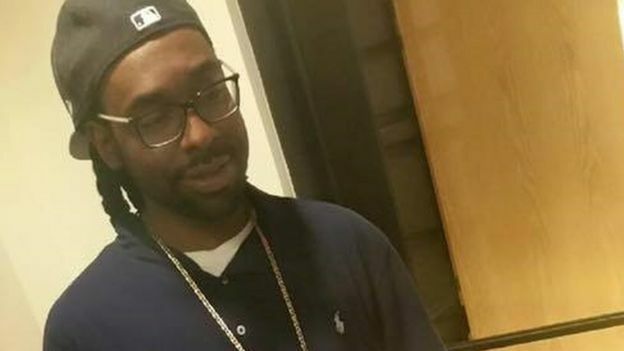 Jeronimo Yanez shot Philando Castile after stopping his car in Falcon Heights last July in an incident live-streamed on Facebook by his girlfriend. 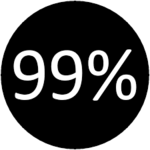 Speaking on Friday, his mother Valerie said the verdict proved "the system continues to fail black people". The case - one of a series of deaths of black men and boys at the hands of US police - prompted widespread outrage. A civil rights lawsuit has been filed against a Lansing, Ill., police officer who was caught on video threatening a young black teen and holding him pinned on the ground back in June, just because the boy was on his property. The lawsuit, which was filed Thursday in federal court in Chicago, alleges that Jordan Brunson, 15, was attacked by off-duty Police Officer William Mason even though Jordan never posed a threat. The village of Lansing is also named as a defendant in the suit, the Associated Press reports. Back in June, the video surfaced showing the officer pinning Jordan down to the grass using his knee, with his hand on the boy’s neck as the distressed teenager pleaded to be released. A woman slapped the back of police squad car just before the fatal police shooting of an unarmed Australian woman in Minneapolis, according to newly released court documents. The detail came in an application for a search warrant, made public Monday in court documents, from state investigators examining what led to the July 15 shooting of Sydney native Justine Damond, 40. 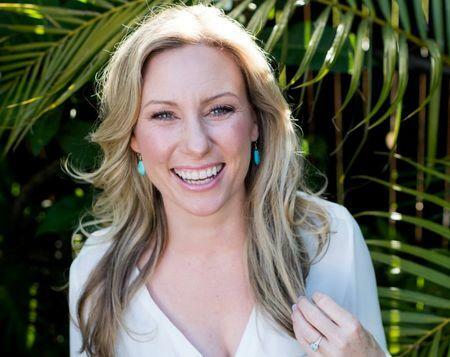 The fatal incident outraged the public in Australia and Minnesota, and led to the resignation of Minneapolis' police chief. Australian Prime Minister Malcolm Turnbull called the shooting "shocking" and "inexplicable." "Upon police arrival, a female 'slaps' the back of the patrol squad. After that, it is unknown to BCA agents what exactly happened, but the female became deceased in the alley," the court document reads. It does not say whether the woman who slapped the car was Damond. Slapping a police car is an excuse to shoot a woman in pajamas?